Dara Adeeyo is our first PRestige All-Star! Every Friday, PRestige will be featuring a School of Communications student at Hofstra on our blog and Twitter page every (yes, this is a few days late). We chose Fridays to correlate with “Follow Fridays” on Twitter, which is when Twitter users suggest other users that people should follow. An example of a Follow Friday tweet: “#ff #Follow Friday @optimistNick @PRestigeHU @my_name_is_Reb” It is just a fun way to promote your friends’ and companies’ Twitters. I thought this would be a nice addition to our blog because we all know how hard the communications students work here at Hofstra, and we want to applaud people for their accomplishments. Plus, everyone could learn something from reading these students’ blogs and Twitter pages, so subscribe and follow them! I want to inspire young girls all over the world. 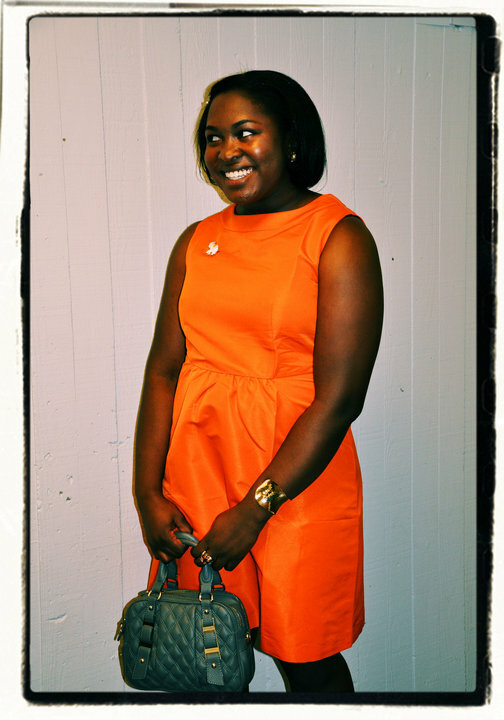 Our first ever PRestige All-Star is Dara Adeeyo, a senior at Hofstra University. It is hard to not hear about her around campus because of some of the great opportunities she has had. Whether people know her name or not, you might hear, “Isn’t she that girl who interns at Teen Vogue?” Yes, she is. Check out what she has to offer! I’m from Edison, New Jersey! Print Journalism, with a minor in Women’s Studies. What got you into your major? I’ve always been into communicating through written or spoken word. I came to Hofstra as an undecided pre-med student but had the idea of being a communications student in the back of my head. In high school, I grew a strong love for magazines; specifically, Seventeen magazine. The Editor-in-Chief, Atoosa Rubenstein, was an inspiring woman and I wanted to one day be that type of person. I want to inspire young girls all over the world. Over my four years here at Hofstra, I have been involved in a lot of clubs—causing me to spread myself thin. I recently did what I call trimming the fat. I’ve devoted myself to activities that I deem important (and have time for). I’m the president of Ed2010 Hofstra Chapter, which is a club that serves as a community for students interested in the magazine industry. I am a pride guide, a resident assistant and a member of SGA’s IRC board. I am also the cofounder of the Hofstra Fashion Club and up until a couple of weeks ago, I was on a part of The Hofstra Chronicle for three years. I was involved in the Big Brothers Big Sisters program here at Hofstra for three years. It’s a great program and I encourage anyone who wants to mentor to join the organization! I’m also a part-time babysitter! What internship do you have/have you had in the past? Right now I am interning at Teen Vogue magazine. I have been a part of this publication for a year and a half. My previous internships include Seventeen magazine, House Beautiful magazine, and First30days.com. I see myself in different realms of the media industry. Maybe I’ll start a popular website or maybe I’ll be a big name editor. The communications industry is very unpredictable, but I will say that I will definitely be in the fashion and pop culture part of the industry. I live by the motto “do you.” What does that mean? Well, that means just focus on yourself and not worry about what others are doing around you in regards to their education and careers. It’s too much stress to put on yourself to try and always out-do someone. If you compete with yourself and try to better who you are and what you can do, then you too will be an all-star! Find what you are good at, hold on to it and run with it. It’s also important to live life with arms wide open (tag line of my blog: daraadeeyo.com). You never know what can come your way and the way life will fall. It’s very unpredictable and you should be prepared for the changes that are to come.